Capture Africa at its untamed best in Central Kalahari Game Reserve. The thrill of venturing into game reserves to encounter the wild beasts from a close range is peerless, and Botswana captures the essence of wildlife. Experience the stillness of time in a jungle lodge or confront the remoteness, wilderness, intense solitude, and unforgiving climate in Central Kalahari Game Reserve – all at once. The virtually featureless expanse – which seems light years away from urban sprawls – yields a chance to see Africa at its untamed best. So, acquire a copy of Cry of the Kalahari to get the lay of the land and admire the tenacity of the San people in this thirst-land. The game reserve was established in 1961 to conserve wildlife and uphold the traditions of Bushmen who are the inhabitants of the Kalahari for the past 30,000 years. Game Drives – Game drives and bush walks uncloaks the captivating wildlife and compelling culture of the Central Kalahari. Embark in a open 4×4 safari vehicle to spot the predators abound like Kalahari lions, African leopards, South African cheetah, brown hyena, and black-backed jackals. Giraffes, wild dogs, warthogs, antelope, kudu, and springbok are other common residents. Head off to the great spectacle of Deception Valley – a 50-mile-long ancient riverbed – where mirages take place. When the night is nigh, set up your tent, dine out under the “starry starry skies” of the Kalahari, and be lulled to sleep by accompanying sounds of African wilderness. Other Activities – The Kalahari is a journey into ancient customs, unusual creatures, and sheer silence. Fascinating cultural experiences in settlements allow an authentic insight into the lives of Bushman clans. Learn tool building and arrow shooting techniques, attend musical dance demonstrations, take a nature walk in the Makgadikgadi salt pans that support tens of thousands of migrating flamingos in the wet summer season. If you want to dabble with astronomy, stargazing is good pastime here. Also, camping safaris remain the most popular way to explore the semi-arid Valley and lately two lodges have been set up for those looking to find comfort. World Heritage Sites – Tsodilo Hills and Okavango Delta are two UNESCO World Heritage Sites in Botswana. Visit the ancient rock paintings of San people at Tsodilo Hills or get an old-style dugout canoe to paddle through the lush water wonderland of Okavango Delta – among the largest inland deltas in the world. Cruise through the maze-like channels of the delta in a mokoro (traditional wooden boat), explore the lily-covered lagoons and palm-fringed islands, and enjoy horseback safaris and elephant safaris led by experienced guides. Kgalagadi Transfrontier Park, Makgadikgadi Pans National Park, Khutse Game Reserve, Okavango Delta, Tsodilo Hills, and Chobe National Park. Located in the heart of Kalahari Desert, the game reserve makes up the eastern half of Ghanzi District in central Botswana. By Air – Sir Seretse Khama International Airport (GBE) is located nine miles north of Gaborone – the capital of Botswana. It is served by regular flights from neighboring countries in southern Africa. By Road – The Khutse Gate – at the southern entrance – is just north of the settlement of the same name. It is about 155 miles (250 km) northwest of Gaborone. Entry to the Reserve – There are three entrance gates to the game reserve: Khutse Gate, Xade Gate, and Matswere Gate. While the campsites at Piper Pan are easily accessed from Xade Gate, Matswere Gate is the nearest access point for designated campsites in the region of Deception Valley, Sunday Pan, Leopard Pan, and Passarge Valley. Designated public campsites inside the game reserve are available with limited amenities. Visitors can book any of these campsites as per their need: Deception Valley Lodge, Edo’s Camp, Kalahari Arms Hotel, Kalahari Plains Camp, Tau Pan Camp, and Kings Pool Camp. It is advisable that only self-sufficient visitors should enter the park, as there are no restaurants in the reserve. The lodges serve well-cooked game meats as tasty traditional meals. From formal dining to more casual braai (barbecue), guests can expect a buffet breakfast, hearty brunch, afternoon tea, and a full table service dinner complemented with wine, beer, and other drinks from the bar. The region is at its most enticing in the first few months of the year (January through April) when travel gets relatively difficult. Towards the end of the rainy season, the procession of grazers follows the fresh grass and the predators who stalk the grazers. In the dry season from April to October, as the foliage disappears, the animals concentrate near permanent waterways. It covers an area of over 32,800 square miles (52,800 sq. km). It is the largest game reserve in Botswana and Africa. The Kalahari Desert is the largest sand basin in the world. Night drives and off-road driving are strictly prohibited. 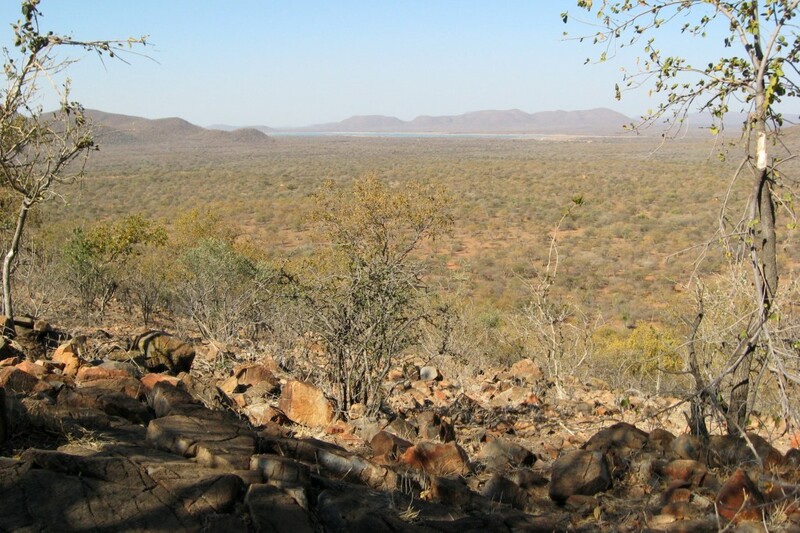 Given the remoteness of this reserve, bring water, food, fuel, and buffer supplies that would last the camping trip to Central Kalahari Game Reserve. Book a campsite in advance as only a handful of sites are available. Don’t forget to pack sunscreen, blanket, GPS, map, extra batteries, and well-equipped First Aid kit. The nearest fuel and other supplies can be found in Ghanzi, Maun, and Rakops.